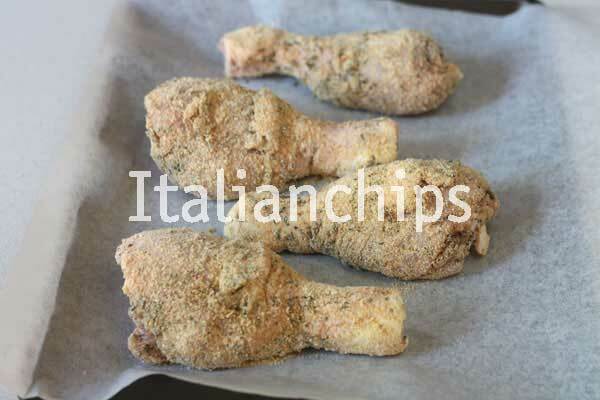 How To Make Fried Chicken Without Frying? 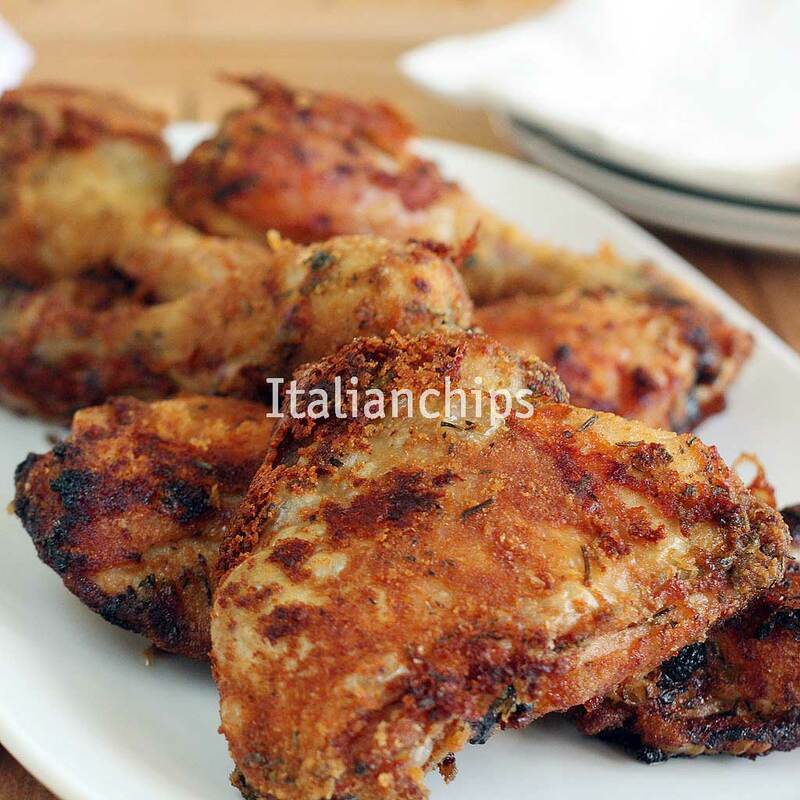 How to make fried chicken without frying, in a healthier and lighter way? In other words, I am showing you a fake fried chicken ;-). Yes, because it looks and tastes like fried, but it is…baked. It is very simple to prepare, and you won’t need to clean the oven either. I prepared it to eat with homemade baked potato chips…also in this case, no frying at all :-). I prepared it today using chicken thighs, but next time I’ll try with other parts too. I remember one of the times we’ve been to America and my daughter was 22 months old. 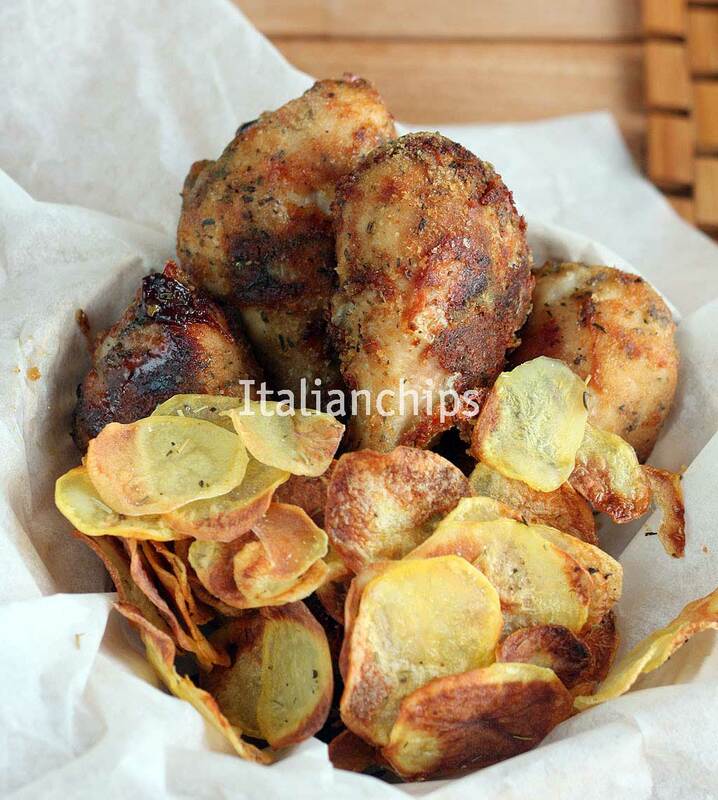 Here in Italy, when we felt like eating fast food, there was (I believe it still exists) some chicken nuggets that both my son and my daughter were fond of. It was also easy to eat as there were no bones. They were sold in small (7) or big (15) portions. Each nugget is big as a nutmeg, just to give an idea. Well, portions are very different in Italy and in America. We entered a Kentucky Fried Chicken shop and chose from the wall menu. We were 4 adults and 2 small children. We decided to order a chicken box, with 15 pieces, for the children. 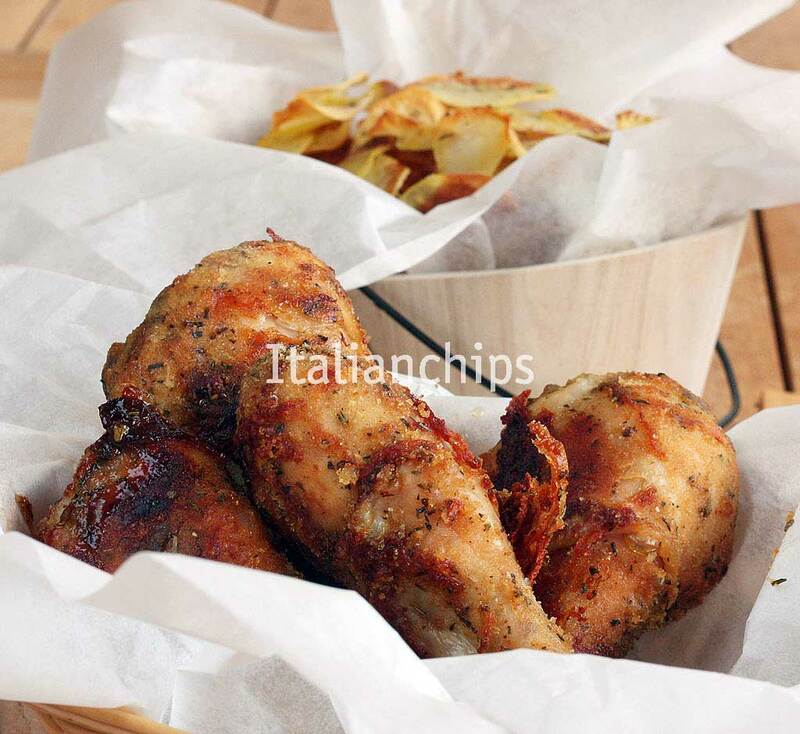 What we didn’t imagine was that the 15 pieces weren’t big like the ones sold in Italy, but were 15 real pieces of chicken, like wings, half breast, thighs and so on…15 pieces! Needless to say, we couldn’t eat it all, as we have already ordered for us too. 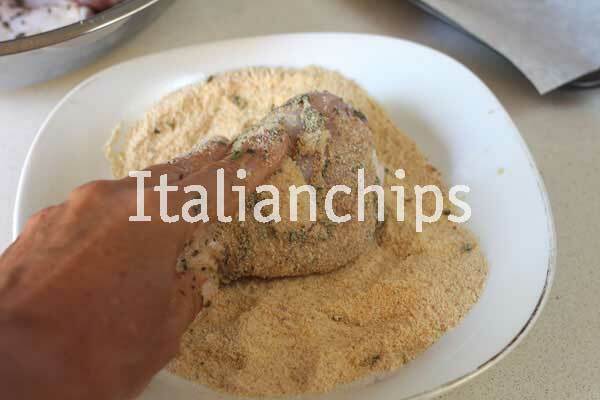 I found this recipe in an Italian food serial called Junk Good. This recipe is what I prepared today for dinner for me and my husband, so I cooked 4 chicken thighs. Just multiply the quantities depending on your appetite or number of people. 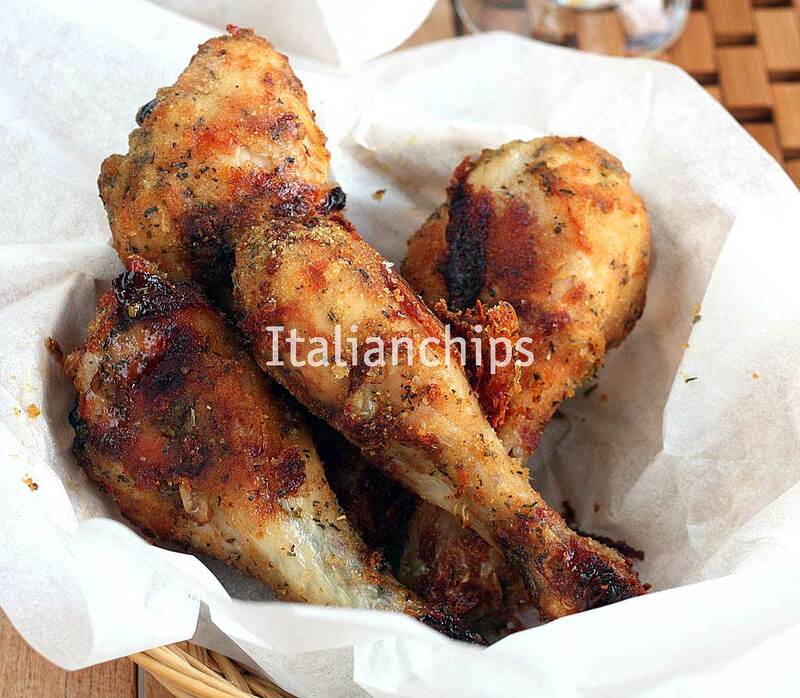 Five minutes before turning off the oven, brush the thighs with the honey and vinegar sauce and let it cook to absorb the sauce. Wash and dry the chicken thighs. In a bowl put the extra virgin olive oil, the minced herbs, salt and pepper. 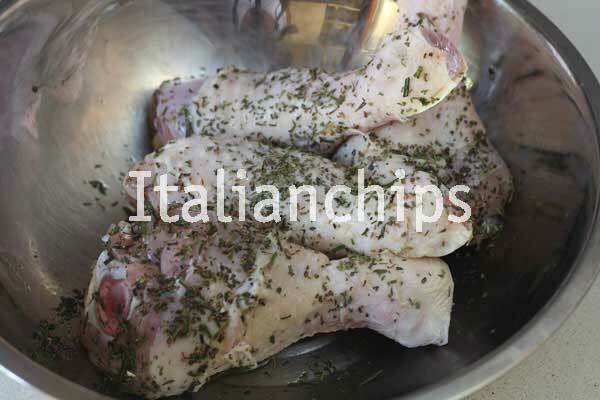 Put the chicken inside the bowl and gently massage the chicken with the oil and herbs mixture. 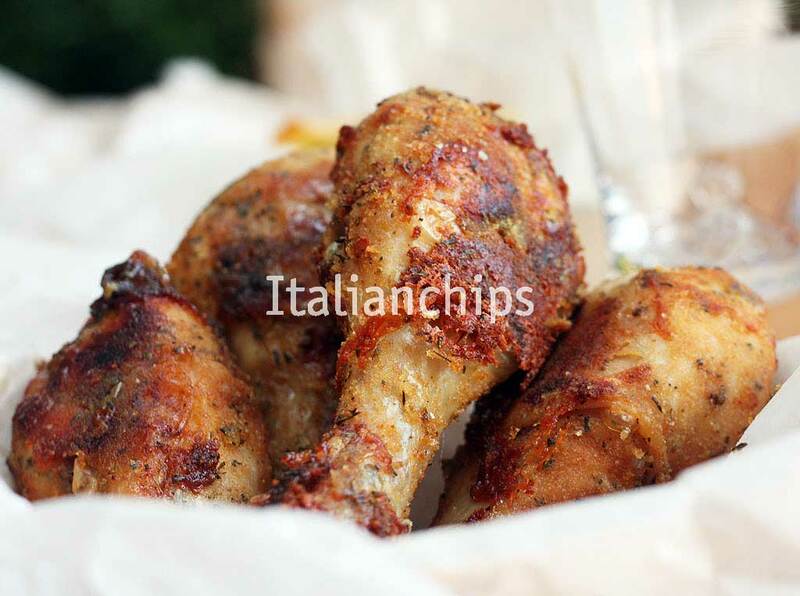 Pass each thigh on the breadcrumbs and put on an oven tray covered with parchment paper. Cook until well done, from 50 minutes to one hour, depending on your oven and the weight of the chicken pieces. At half cooking time, turn each piece to the other side. Prepare a sauce mixing the honey and vinegar. 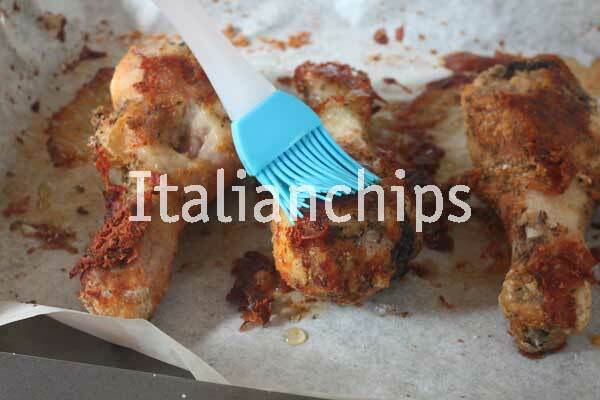 Five minutes before taking the chicken out of the oven, brush each piece with the sauce.